HomeNewsSan Francisco concert announced with New American Farmers featuring Nigel ‘Twist’ Phillips as Very Special Guests! San Francisco concert announced with New American Farmers featuring Nigel ‘Twist’ Phillips as Very Special Guests! 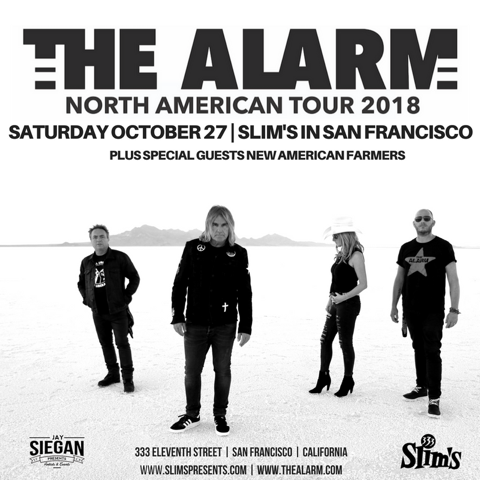 Mike Peters and The Alarm are to appear at Slim’s, San Francisco on Saturday October 27th with very, very special guests New American Farmers who also feature none other than The Alarm’s Nigel ‘Twist’ Phillips on drums. It promises to be a very special evening for Alarm fans in California and beyond. Nigel made a superb guest appearance with Mike and the band at last year’s ‘SOLD OUT’ S.F. concert at The Chapel (Review), and in the dressing room following the show, talks began with Jay Siegan (Concert Promoter), about creating something even more special for the 2018 San Francisco concert. Mike and Nigel had been discussing various options, and together came up with the idea of a double header concert. Tickets for the event at Slim’s go on sale this Friday and will be available here. Photo: New American Farmers in concert. 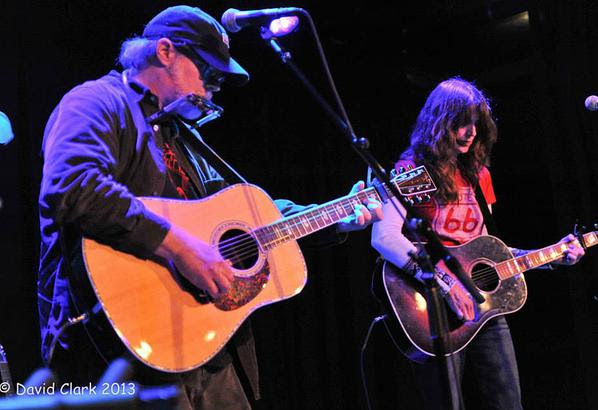 New American Farmers is Paul Knowles and Nicole Storto and the group has been making genre bending music that spans the spectrum of cosmic country, folk, bluegrass and Americana since they began performing as Mars, Arizona in the late 90s. The Farmacology Sessions, their second record as New American Farmers, is a little bit more folk/rock than previous outings, opening up new vocal and musical territory for the duo to explore. “There are more late 60s, early 70s influences,” Knowles says. “It stretches out more, takes some chances, and we had a blast doing it.” The album features drums by Nigel “Twist” Phillips from The Alarm and a guest appearance by Chuck Prophet.